We’re excited to announce the ftrack team will be in Barcelona, Spain for b’Ars 2018 as an exhibitor and sponsor. 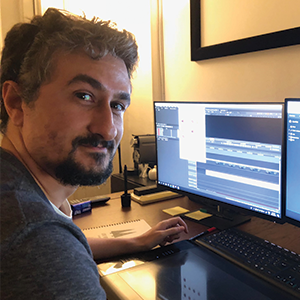 VFX Editor, Agustín Serna talks about Twin Pines’ pipeline and how they manage complex VFX projects with ftrack. Twin Pines was founded in 2008, based in Madrid, Spain, they’re a collective of 35+ professionals specialising in VFX for films. Recent projects include The Plague, The Zone, The Promise, Orbiter 9 and Zip & Zap and the Captain’s Island among others. b’Ars, Barcelona International Arts & VFX Fair, is a highly specialised fair that wants to give VFX, Animation and the overall Digital Content industry a new focus by gathering the industry’s best creative talent in a fun playful way. The Event is aimed for both professionals and students, with a focus on the artistry of the film-making process, cloud VFX, Animation and Digital Content production, education and networking.